Pizza available for an additional cost. Kick out the clowns and the lame magicians, School of Rock throw a bash that will have the others running for the hills. This party is equal parts fun, educational and inspirational. 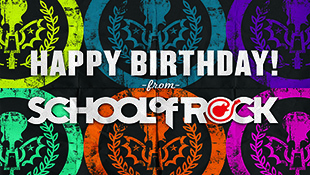 School of Rock’s mission is to provide an experience that inspires children to rock on stage and in life. All parties run for two hours. Perfect for the younger rockers 7 and under. This package offers basic music instruction based on their popular Rock 101 program and Rookies class. 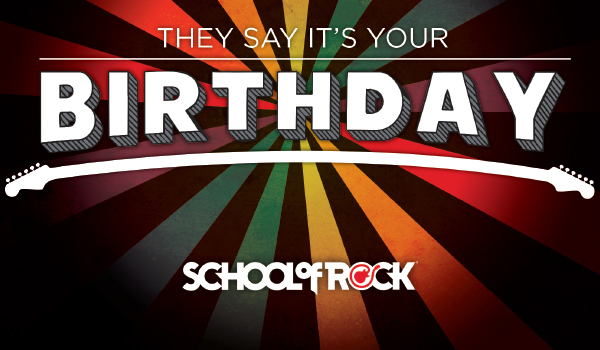 The birthday rock star selects their favorite song to listen and learn from. Party guests will explore different instruments including guitars, bass, percussion and keyboard. Guests will come up with rock star names, create a band name and get glammed up for the stage. 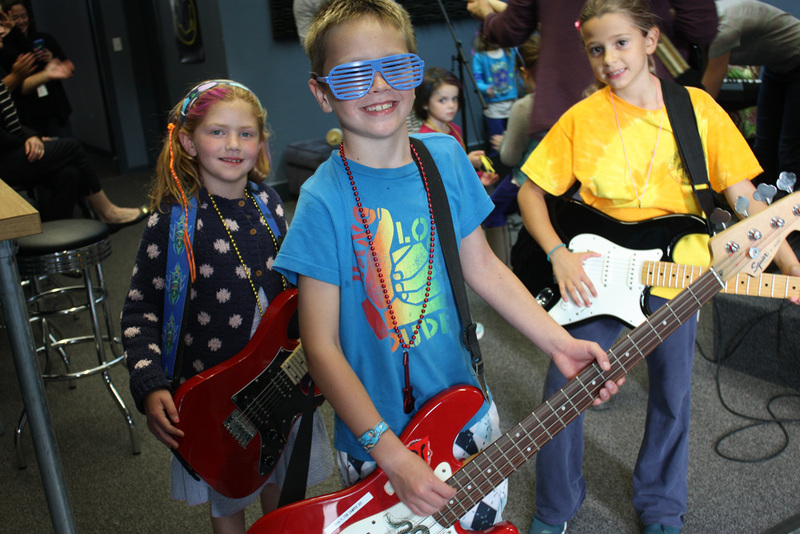 For a step up in your rock party experience for guests 8 and up, this package offers all of the mini-tour package plus the party guests get to form a band and learn a rock and roll song. For the full Rock and Roll birthday party experience, this package is highly recommended. Party guests get to form their own band, rehearse their song and perform it for their parents and friends. Packages include a full back line of guitars, bass, keyboard, P.A. system and a small drum kit. All equipment will be set up by School of Rock staff. Party guests will be guided every step of the way by their amazing team on how to play rock music. This package is designed for a larger number of guests looking to form two bands instead of one with the two above packages. 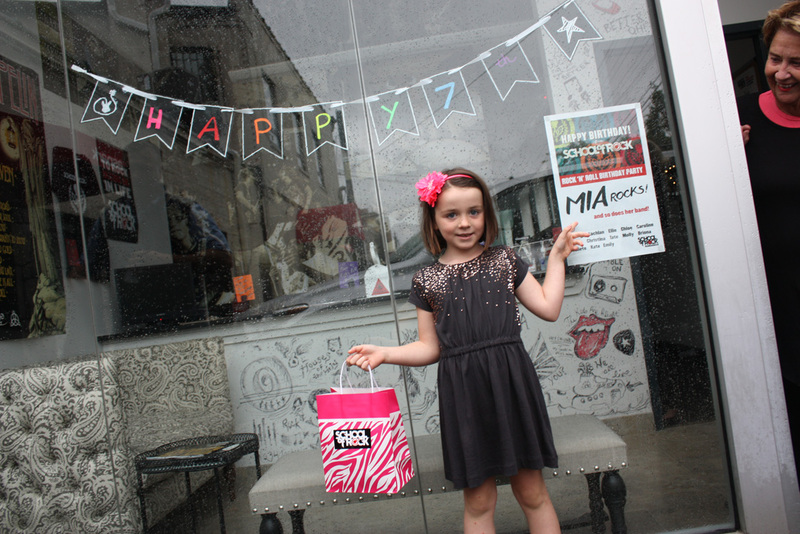 We had a fabulous 9th bday party at School Of Rock in Mamaroneck. The kids loved being able to try all the instruments and they worked in smaller groups to really get a chance to play. I wouldn’t have found it without Booked Parties. Thank you!